Home / Blog / President’s Day Discounts! Enjoy your weekend and Save $100!! 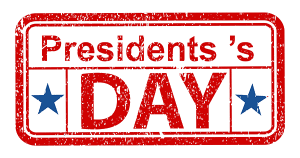 It's President Day weekend and we hope that wherever you are you have plans with your friends and family to have a great time!! Our Scavenger Hunt Party can help you create a unique and memorable experience for your entire group. During your Scavenger Hunt Party you not only take on the streets of your city but you also add a personal element with challenges about whatever you'd like!! This is a great way to personalize an event for birthday parties, bridal parties, office parties and team building events. Check out some recent Scavenger Hunt Parties on this page to get some great ideas for your next event! Have a large group? No problem!! CityScape Adventures can handle groups from 2-10,000!! Use "prez100" this weekend to save $100 on your next Scavenger Hunt Party! Cary’s Last Fling before the Ring! !